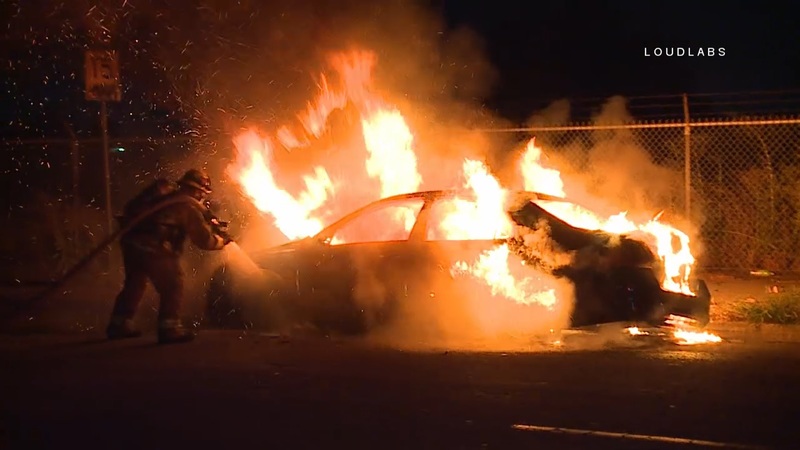 At around midnight Compton firefighters responded to a report of a car fire near the intersection of 131st st and Parmelee Ave on the east side of Centennial High School. Firefighters arrived to find a car fully engulfed in flames. After a few tire explosions, crews were quickly able to put out the flames. The cause of the fire is unknown at this time.